WEDNESDAY, Dec. 13, 2017 (HealthDay News) -- Survivors of terror attacks may be at risk of developing frequent migraines or tension-type headaches, a new study suggests. Norwegian researchers examined the aftermath of a 2011 terrorist attack on a summer camp in Norway that left 69 people dead and 33 severely wounded. Most of the dead were teenagers. The investigators followed more than 200 of the young survivors, looking at how many were suffering recurrent headaches. They found that many were -- and at a rate much higher than would be expected in the general population. Specifically, the teens had a three-times higher rate of weekly or daily headaches. "We found that the survivors more often suffer from headaches as compared to controls, with more frequent and severe complaints such as migraine," said the study's lead researcher, Dr. Synne Stensland, of the Norwegian Center for Violence and Traumatic Stress Studies in Oslo. According to Stensland, the findings could have far-reaching implications. "We need to acknowledge that survivors of terror -- and most likely other extreme violence -- may be struggling with severe headache complaints," she said. When that's the case, Stensland added, the headaches would likely "affect their ability to cope in the aftermath of events." Early treatment of migraines and tension headaches could prevent them from becoming chronic, she noted. For the study, Stensland and her colleagues compared 213 attack survivors with more than 1,700 teenagers who had not experienced a terror attack. They served as "controls." Each survivor was matched with eight teens of the same age and gender. In interviews four to five months after the attack, the survivors were asked about any headaches they'd had in the past three months. That, the researchers said, is past the usual time for "acute stress reactions" -- which are usually temporary and can be considered "normal." Overall, a third of the girls were suffering from migraines, compared with 12 percent of girls in the comparison group. Among boys, 13 percent of survivors had migraines, versus 4 percent in the comparison group. Tension-type headaches were even more common, affecting half of female survivors and 28 percent of male survivors. Overall, terror attack survivors had a three- to four-times higher risk for both types of headache, the study found. That was the case even when other factors, such as past exposure to violence, were considered. According to Stensland, the disparity mainly showed up in rates of frequent headache. About 12 percent of female survivors and 5 percent of male survivors had daily headaches. 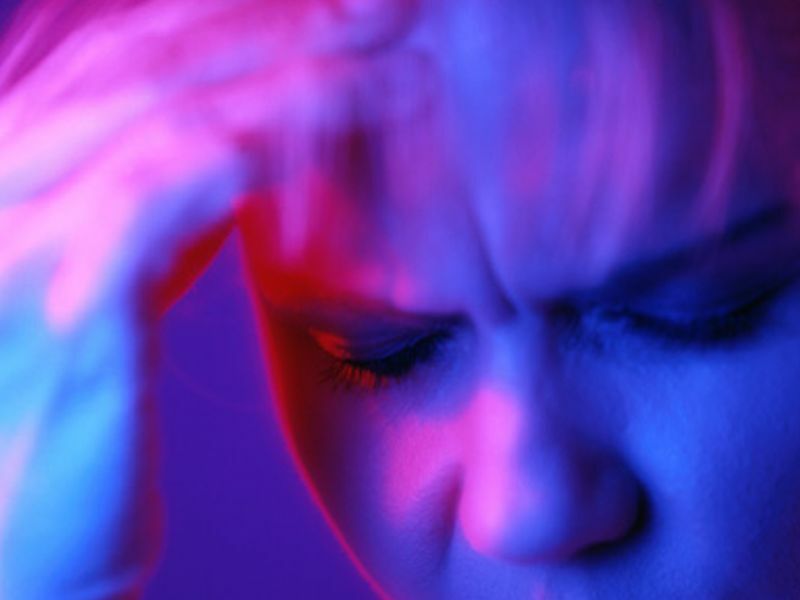 However, daily headaches were uncommon in the comparison group -- affecting 1 to 2 percent. The study was published online Dec. 13 in the journal Neurology. Dr. Matthew Robbins is director of inpatient services at Montefiore Headache Center in New York City. He said, "We know that a stressful life event can lead to a new headache disorder, or make an existing one even worse." This study, he said, highlights the impact of exposure to extreme violence, at a vulnerable time in life. Even under normal circumstances, women are more prone to migraines -- and that starts to emerge in the teenage years, Robbins said. The particularly high rate of headache disorders in female terror survivors seems to reflect an "extreme" version of that normal pattern. And while the study focused on the aftermath of a mass killing, many people experience smaller-scale violence or abuse, Robbins pointed out. He said it's already recommended that doctors screen headache patients for any history of abuse. Patients "shouldn't hesitate" to bring up those experiences, he added. In any case, treatment of recurrent headaches should ideally involve medication and non-drug, behavioral approaches, according to Robbins. And in cases where trauma is a factor, he said, there's "no doubt" that needs to be addressed in treatment. Why would trauma trigger or worsen recurrent headaches? "If we are exposed to an extremely violent event, the sensory information is transmitted neurologically to and processed in the brain," Stensland said. "The brain and body are alarmed. Neurological sensitivity is generally elevated, stress hormones are released and our defense system [immune system] is modulated." All of that, she explained, could make the brain "hypersensitive," rendering a person more vulnerable to pain. Other issues, such as sleep problems, could add on to the effects, Stensland noted.